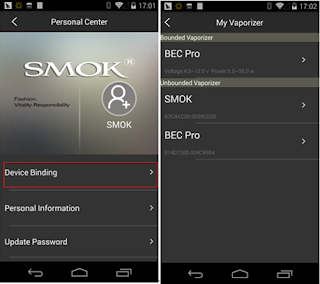 Home / App / Bonded Device / Password / Smart BEC / SMOK / Unbonded Vaporizer / How to recover a lost or forgotten password for your Smart BEC app? 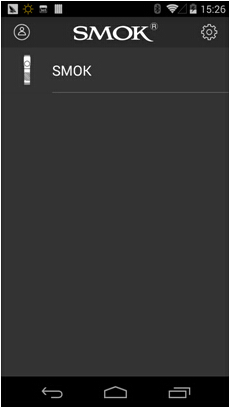 1.Click the portrait icon on the upper left corner, register as a member of the user. 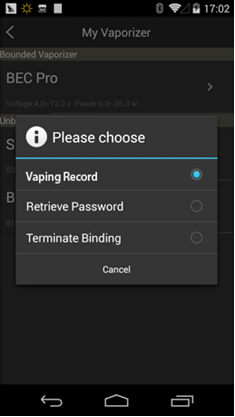 3.Click device binding option to enter the bounded list screen, click the unbounded device to bond it with your account. 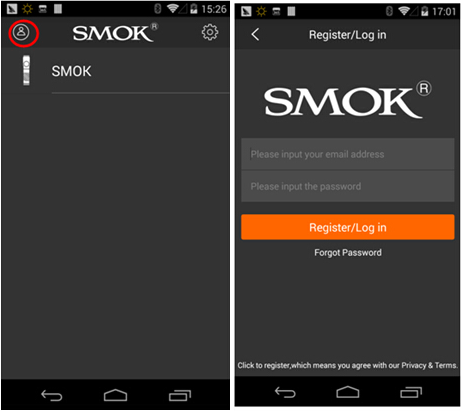 4.Click the device from the bounded vaporizer list to choose retrieve password, and the password will be sent to your email. 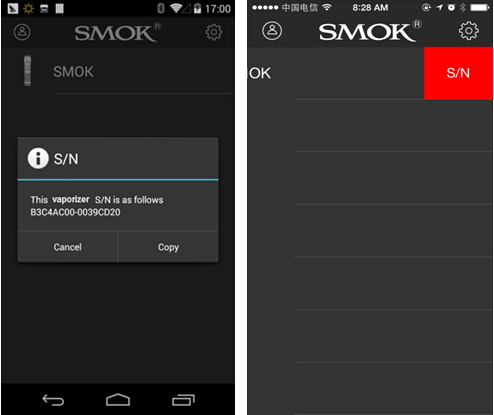 3.Email the S/N to customer_support@smoktech.com, Password will be sent back to you after verification. 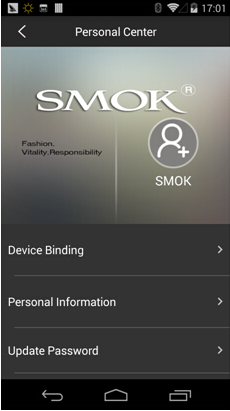 GS-Air Tank ,The Best Match For iStick TC40W !